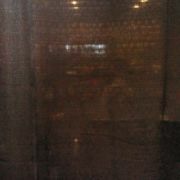 Room divider curtains are movable, allowing for a room to be used as one large hall or potentially several smaller ones. 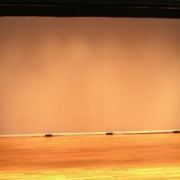 A thick fabric curtain can be a very cost-effective and efficient way to divide a large room such as a multipurpose room, gymnasium, or auditorium. 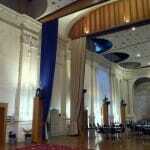 Curtains are movable allowing for a room to be used as one large hall or potentially several smaller ones. 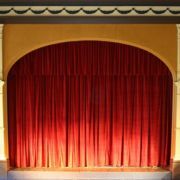 Fabric room divider curtains can also have very favourable acoustic absorption properties helping to minimise echo and reverberation when there are a lot of people or activities in the venue. 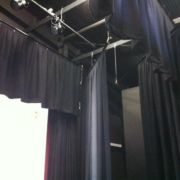 We have made room divider curtains out of both velvet and wool theatre fabric. 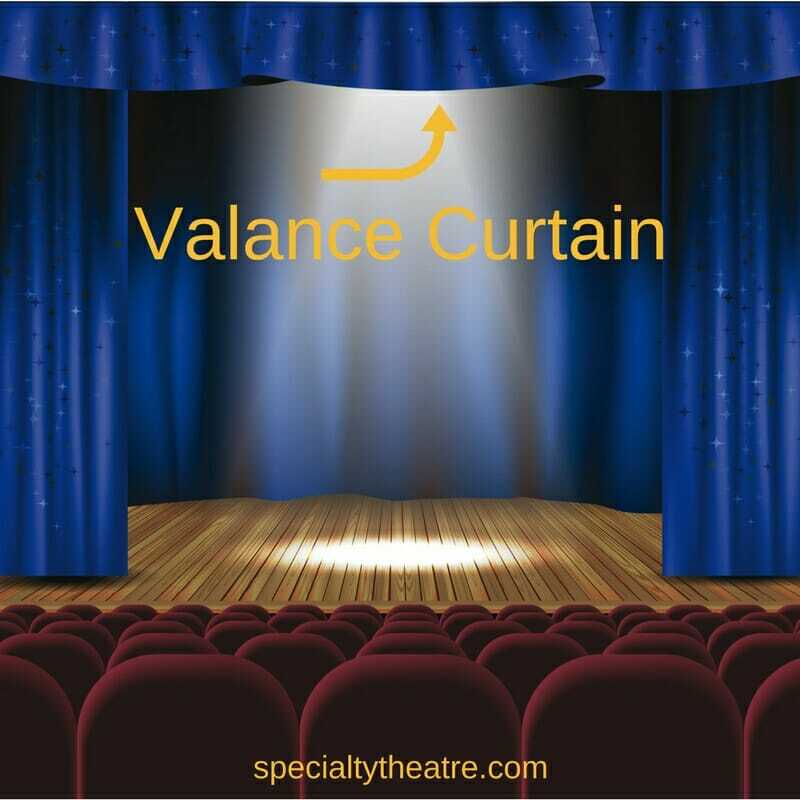 A wide variety of fabric colours and designs are available and all comply with the relevant building codes for flame retarding. 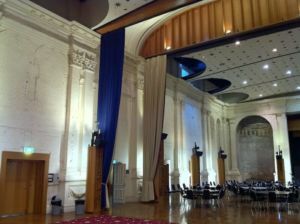 Please have a look at some photos of a couple of large fabric room divider curtain that we installed St Kilda Town Hall in Melbourne. 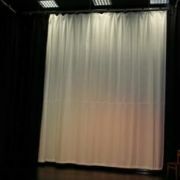 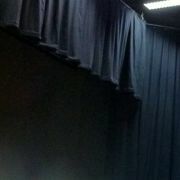 If you think your venue or school could use a fabric room divider curtain, please don't hesitate to contact us.